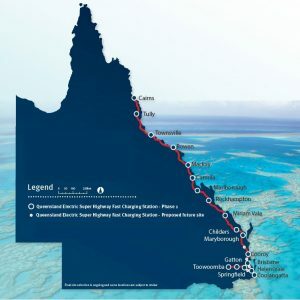 Seven months ago, the Queensland’s Department of Transport and Main Roads announced it was going to build ‘the world’s longest electric super charger highway in a single state’ as part of its commitment to encourage Queenslanders to support, and accelerate, the uptake of electric vehicles (EVs). At the beginning of this year that planning came to fruition, with the installation of a $3 million, 1,800km network of 18 fast chargers along the east coast. As Australia’s only designer and manufacturer of fast chargers for EVs, Tritium was delighted to be involved in this project, supplying 15 of the fast chargers on the network. As experts in energy management, we anticipated the development of the global EV industry some years ago and started developing the technology used in our 50kW DC fast charger (the Veefil-RT) in Brisbane, around 2003. It came to market in 2013 and today is operation in 22 countries around the world. However, around 94% of our production is sold overseas, with the US and Europe our major markets and Asian countries rapidly catching up. In 2016 Queensland had fewer than 300 fully electric cars and 400 hybrids registered. At the beginning of this year the total of full and hybrid cars has risen to 1,300. To put that in context, there are around two million fully electric cars on the road globally at the moment. 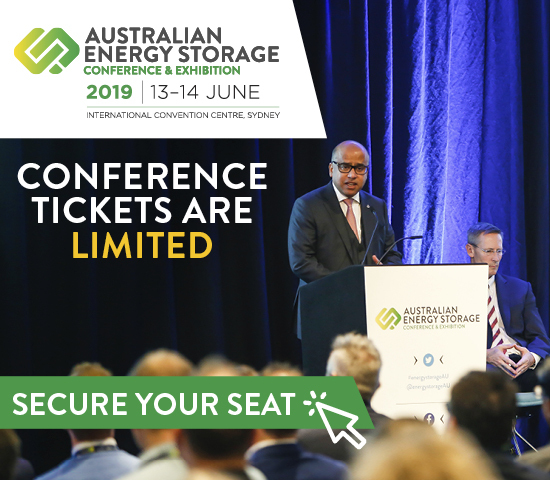 Lack of infrastructure to support a viable EV market, and in particular a lack of easy to access fast-charging stations, has been considered one of the key reasons why Australia has fallen behind many other developed countries in its uptake of EVs. This is why the vision of the Queensland Government in creating the Queensland Electric Super Highway is to be commended as a bold development, and one that should encourage not only ordinary drivers to consider making the change to electric, but also company fleets, haulage and transport companies. Supporting infrastructure for EVs out on the road is predicted to rise at a significant pace around the world. It is estimated 1.3 million charging stations globally will be sold in 2018, increasing to 2.7million in 2020. I anticipate the number sold in Australia will also substantially increased by 2020. The chargers operating on the Queensland Electric Super Highway are classified as ‘fast chargers’, 50kW DC chargers that supports both CHAdeMO & CCS/SAE-Combo standards. The connection types have been chosen to support the majority of EV models currently available in Australia and are recognised as industry standard around the world. They are around 25 times faster than home charging, which means a driver can add 50km range to an EV battery charge in just 10 minutes or recharge 80 per cent of the car’s battery in around 30 minutes – about the time it would take for a coffee break on a long journey. 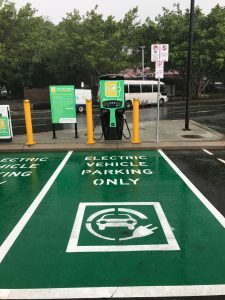 The fast chargers along the Queensland coast have been installed in convenient, safe locations close to major highways where there are existing amenities such as cafés, restaurants and shops. The sites have been identified to allow motorists to easily charge their vehicle and have a short break. The actual locations of the fast chargers are Bowen, Cairns, Carmila, Childers, Coolangatta, Cooroy, Gatton, Hamilton, Mackay, Marlborough, Maryborough, Miriam Vale, Rockhampton, Springfield, Townsville, Toowoomba and Tully. There is a further charger at Helensvale, but for technical reasons, this will become operational after the Commonwealth Games in April. Although the EV market and supporting infrastructure is only just coming into its stride in Australia, developments in design and function of both vehicles and chargers are happening at a rapid pace. For example, charger manufacturers such as Tritium recognise that when drivers can recharger their vehicles in around the same time they currently refuel with diesel or petrol, one of the major barriers to EV adoption will be smashed. The industry is already working towards 475kW ultra-fast chargers on our roads and in the workplace. And we have always been committed to the concept of energy freedom. EV owners should be able to maximise the benefits of their vehicles, as both a convenient mode of transport, and as a mobile energy asset. A driver’s biggest energy asset – their EV battery pack is vastly under-utilised – probably only used around 7% of the time, and to only 10-15% of its capacity. Changes to the way we drive and use energy in Australia are on the way. As Queensland Minister for Main Roads, Mark Bailey, commented, on the announcement of the completion of the Queensland Electric Super Highway, “The global market continues to head full-speed towards a future where electric vehicles dominate the transport space, with major manufacturers unveiling their newest models and making major commitments to increasing the range available to consumers”. This latest development is a significant move in the right direction.